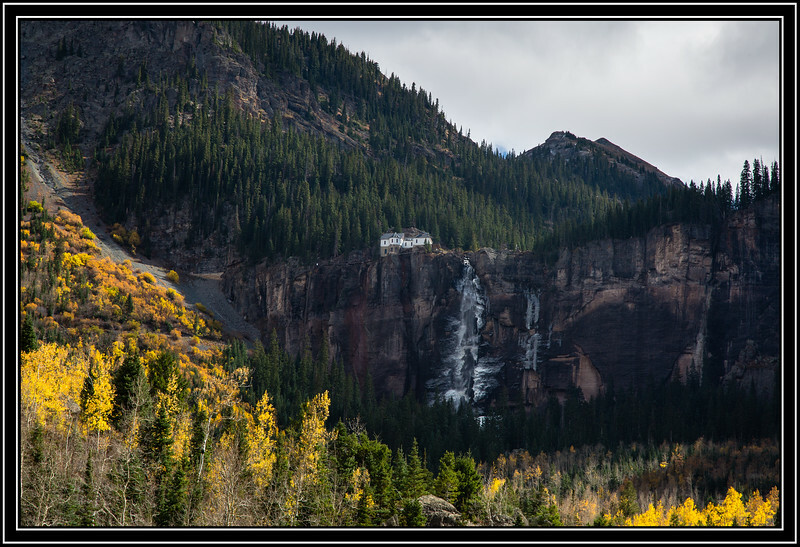 Telluride, CO - Pandora & Bridal Veil Falls - Hike to the tallest free-falling waterfall in Colorado at a stunning 365 ft in length. Park at the Pandora Mill just east of Telluride and lace up your footwear of choice. The trail is a gravel road that eventually passes a gate to further trails up the Bridal Veil Basin. At 1.2 miles to the base of the falls with 850 feet of gain, this can make for a great hike or run. Link to Photo Without Frame Thank You for Making this Daily Photo Tied for the # 2 Pick on 02-19-2018. Beautiful view. I love this area of Colorado. Well done. Looks like a beautiful place to hike to. superb landscape,interesting mill and waterfall!! Gorgeous fall scene. Very breathtaking indeed.